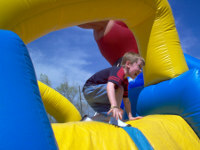 Get great ideas for your next kids birthday party in Upstate New York. This children's birthday party guide in Upstate NY is filled with all the top ideas for your next party. 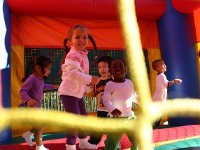 Make your child's party extra special by using our kids birthday party ideas in Upstate New York. 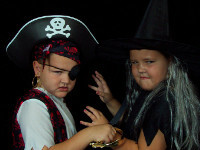 Upstate New York offers some of the top party entertainers for kids parties. 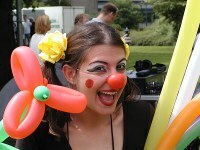 Find childrens birthday party entertainers in Upstate NY in this easy to use directory. Find the top places to have parties for kids when you use our ultimate guide to kids party places in Upstate NY! It's no hassle when you have your child's party at childrens party places in Upstate NY instead of at your home! Table linens, bounce houses, photo booths, tents, carnival rides and many more kids party rentals Upstate New York are listed here. This is your definitive guide to all the kids party rentals Upstate NY has to offer. Plan your child's birthday party using this guide to parties for young children Upstate NY. 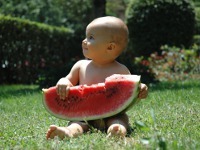 This resource offered by FunNewYork.com will make planning parties for little ones in Upstate NY easier than ever! Get help at your next party by hiring some of these birthday party services in Upstate New York. Party Services in Upstate NY come in many types, from caterers and DJs to photographers and decorators. If you are running out of ideas for your next children's birthday party, why not consider themed childrens parties in Upstate NY? Kids love dressing up and having costumed characters at their party so use FunNewYork's guide to kids theme party ideas Upstate New York!